Part Gossip Girl, part Edgar Allan Poe, and wholly beautiful, elegant and suspenseful, this novel set in Venice during the Renaissance is a true romantic thriller. When Cassandra Caravallo visits her friend Liviana's crypt and finds a murdered courtesan inside, her world is turned upside down. Before she knows it, Cass is involved with Falco, a grave-robbing artist, and on her way to discovering corruption in the elite Venetian society. But will she find the man who's been savagely murdering beautiful young girls before he finds her? Will she stay true to her fiance, who's off studying law in France? Or will she succumb to Falco's charms? 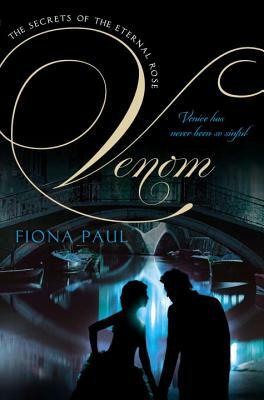 Beauty, love, romance and murder combine in a novel that's as seductive and stunning as Venice itself. Fiona Paul is a writer and registered nurse who lives in St. Louis, Missouri.